This comprehensive evaluation is conducted by a licensed mental health professional. The identified consumer and any other relevant parties such as family members or referring caseworkers may be included in the evaluation process. The consumer's psychosocial history and presenting problem are thoroughly examined. A diagnosis is formulated along with level of care and treatment recommendations. Medication related services are performed by board certified psychiatrist(s). The purpose of a Medication Assessment is to determine the appropriateness of psychoactive medication(s) as part of the treatment plan. Probable benefits and possible risks are discussed to help consumers to make an informed decision. Medication Management entails follow-up visits for consumers who are prescribed psychoactive medication, typically on a monthly basis, to monitor the effectiveness and issue on-going prescriptions. 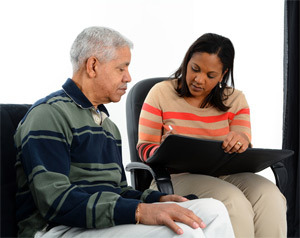 Often referred to as "talk therapy" various modalities are offered including Individual, Couples, and Family Therapy. A treatment plan is developed with the consumer/family participation to determine the goals of treatment and measurable objectives toward reaching those goals. Various theoretical approaches and techniques are utilized, and consumer progress is regularly assessed. Rehabilitation Services that include improving or restoring independent living and social skills necessary to support living in the community, and to promote recovery, the ability to make informed decision and choices, and to live productively in the community.